Many businesses today are solely run online without a brick and mortar location. 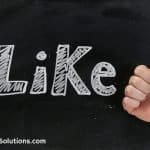 That leaves many without the value of utilizing location targeting with their social profile locations. An example of this is Google+ business pages. If you don’t have a physical address or location, you’ll need to create a branding page vs. a local page. Not having a local page means you don’t show up that easily on local searches within your area. There is a quick way on Instagram to overcome that. How to add your website URL to your Instagram Photos. 1. 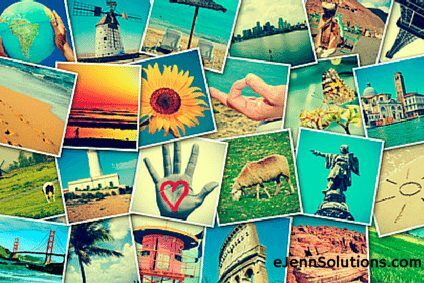 Add your .com to every photo you upload: While this is a very time consuming task, this can be a great way to add your website to every photo you upload to your Instagram account. There are quiet a few apps that will allow you to do this. You’ll need to take the photo with your phone camera and not take the photo directly in Instagram. Open up one of these apps to add your URL to your photo. Create your watermark as your URL, save to your gallery and then upload that photo to Instagram. 2. Name your own location: This process we found to be a bit easier and less time consuming. In your physical business location, open up Instagram to the photo sharing portion (as you see in the photo below). Tap the “Name This Location” and add your new location as your website. Example: I would enter eJennSolutions.com as my location name. 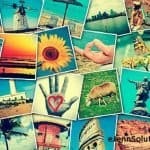 Each time I upload a photo to Instagram – I’ll use eJennSolutions.com as my location for each photo. This will provide an easy way for people to view your website URL with each photo. There you have it … 2 ways you can add your URL to Instagram! Have you used this yet? Interesting …. thanks for sharing this info Tim! Have you heard of a way (in general) to add a watermark hyperlink to any photo? Hi Robert – no … that would be a GREAT ability! You can Tag people in photos – but that’s the only linking we’re aware of for Instagram. We have utilizing creating short, easy, memorable Bit.ly links to place in posts. Of course telling people in your photo post to click the link in the Instagram bio helps. Lastly – obtaining your own branded URL to place in posts for easy memory can help. We’ve had good success with changing out our Bio link or pointing people to the bio link for info. Thanks for reading!! The only thing the Add Watermark Free app does is just allow you to add a website on the image. It doesn’t make it a clickable link to the website you want it to go to. What good is that? Hi Shawn – thanks for stopping by! Why TF are people using instagram? It is so limited and pointless. You can do everything on Facebook with no limits so why are people migrating to Instacrap? Hi Roy – Instagram is difficult in that it doesn’t allow for links in posts … there is just one link to your website, service or content which is in the bio. Creating calls to action are needed to drive traffic in every post. Creating content there that is authentic can be difficult to. All these things though, tend to help keep over zealous marketers at bay and reduces spam. It’s also a visually pleasing platform that makes it great for branding. There is a different strategy on Instagram vs. other social sites. It does work for companies but does require an adjustment of content to the culture of the platform. Not everyone or every company finds benefits with Instagram. Very happy to read you are having success with Facebook! Thanks for stopping by!